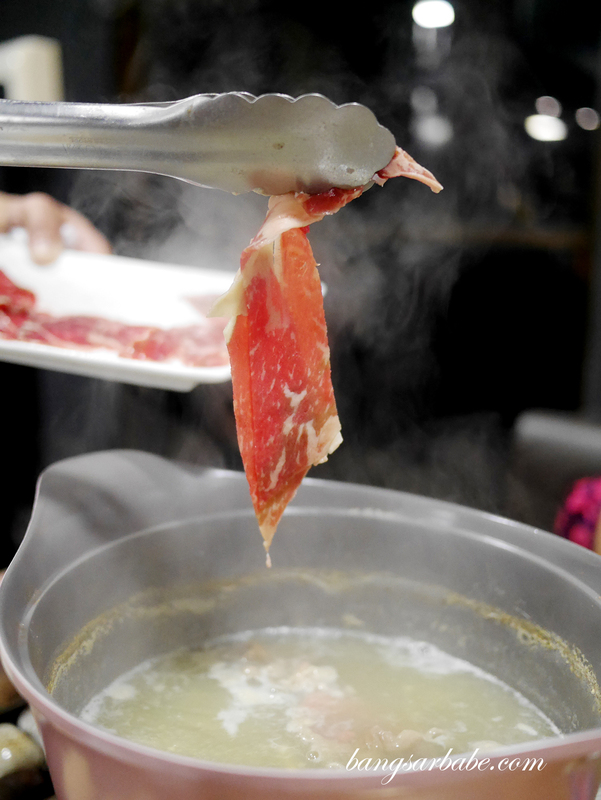 Hot cauldron, thinly sliced meats and fresh vegetables are what I associate shabu shabu with. 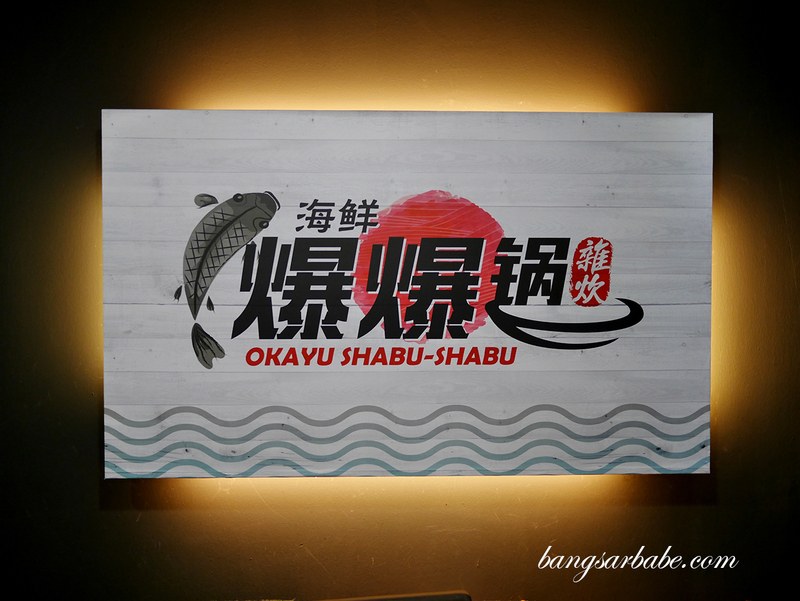 Japanese shabu shabu is a collegial experience for me – one that’s meant to be shared with friends where social conversation and gossips happen. 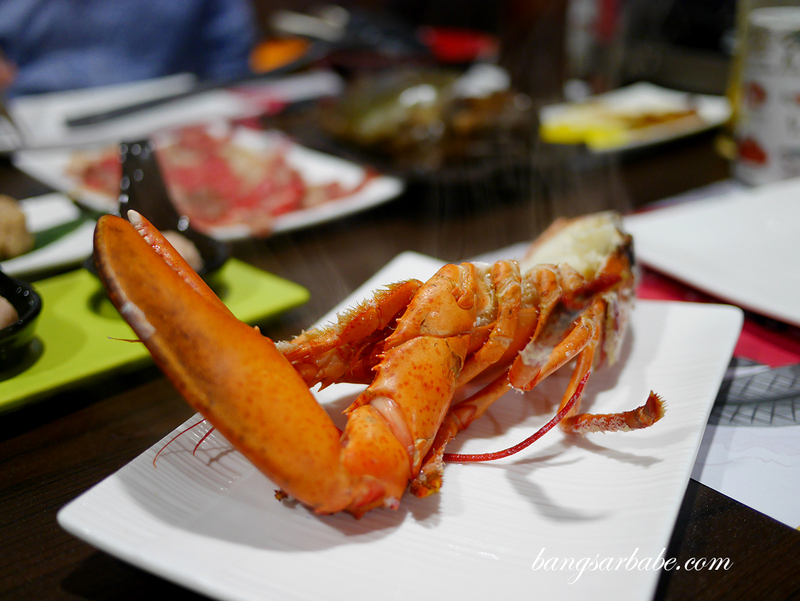 I guess to me, that concept applies to any hotpot, Japanese, Chinese, Korean or even Swiss (fondue). 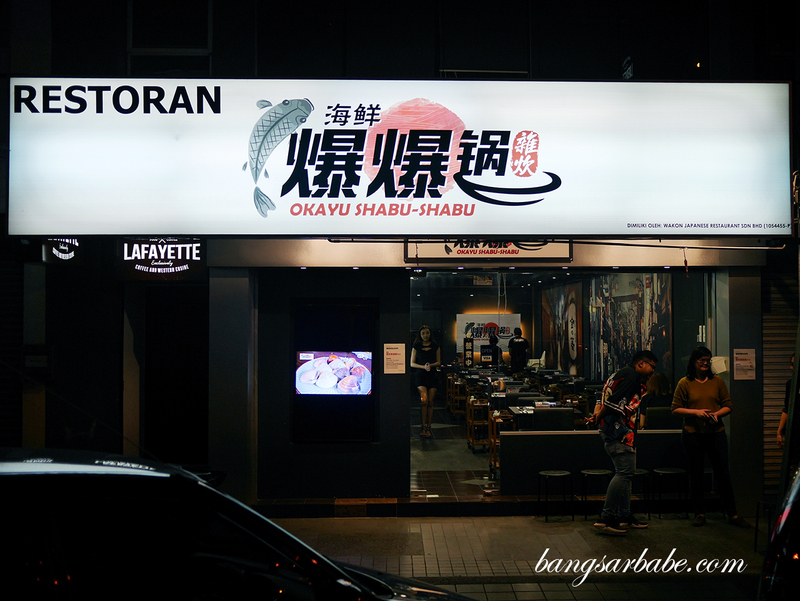 Okayu Shabu Shabu in Damansara Uptown occupies what used to be known as Super Big Don House; the owner remains the same but the concept, changed to cater to demand. So I was told. 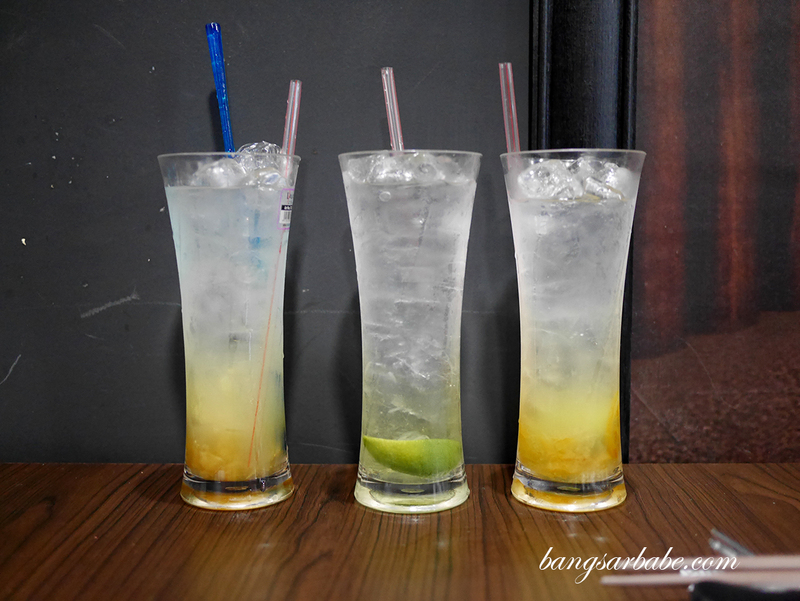 The marketing person got in touch with Jien who happens to be the deciding factor if Bangsar Babe should take reviews or not – all unpaid, as stated repeatedly over the past 10 years of the brand’s existence. 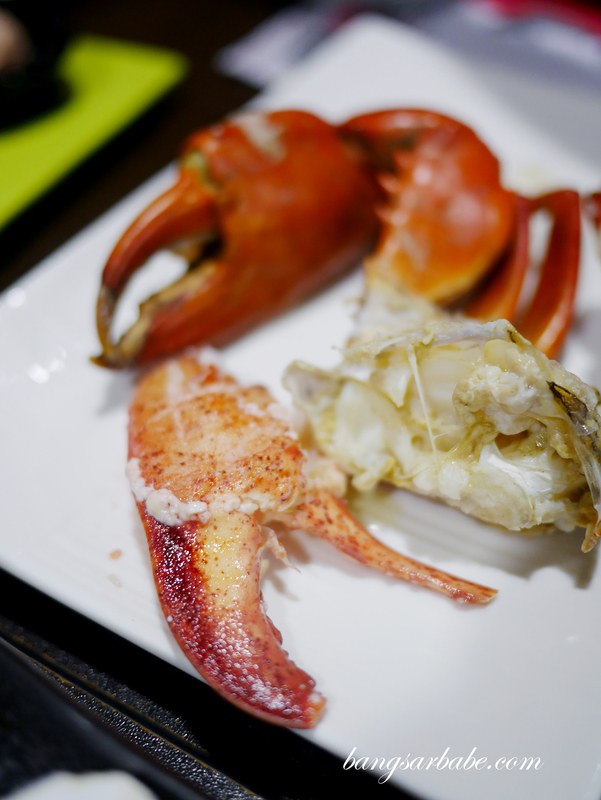 Pricing is slightly on the higher side as Okayu Shabu Shabu prides itself in its fresh seafood like Japanese abalone, Boston lobster and crabs. 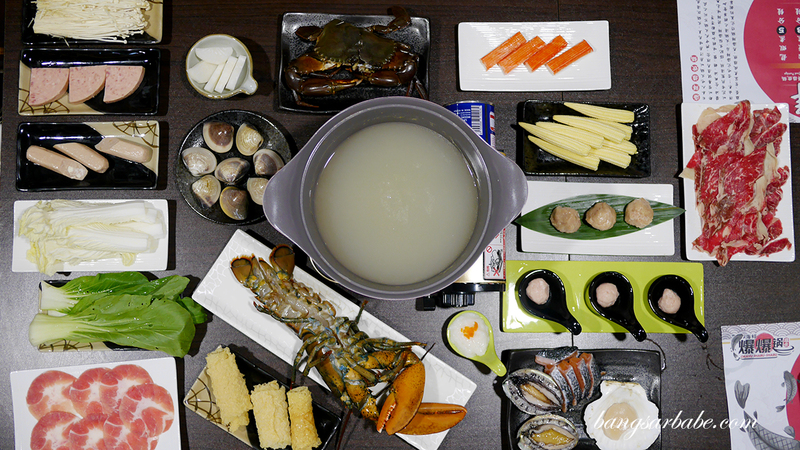 The most basic of shabu shabu would set you back RM38 per pax and you’ll need to add on items from their side orders. 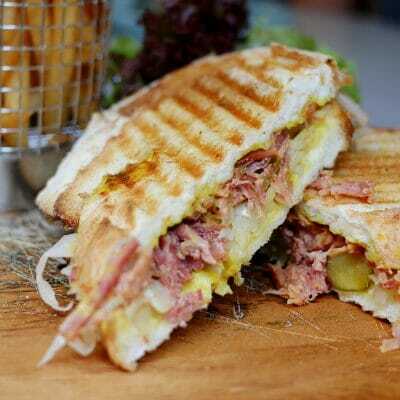 With that in mind, expect to pay between RM60-200 per head, depending on what you order. 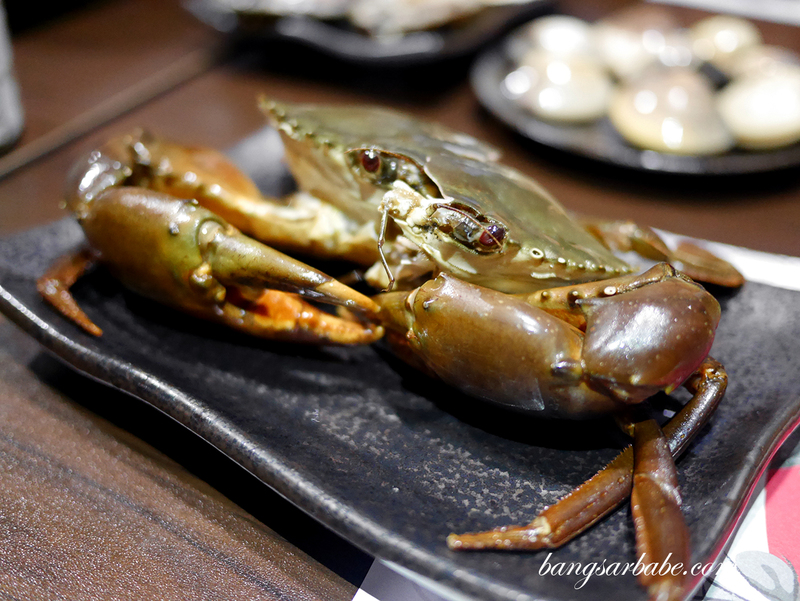 We got the RM88 per pax set, where each individual gets half a crab, half a Boston lobster, one Japanese abalone, clams, salmon or scallop and two items from their side orders. 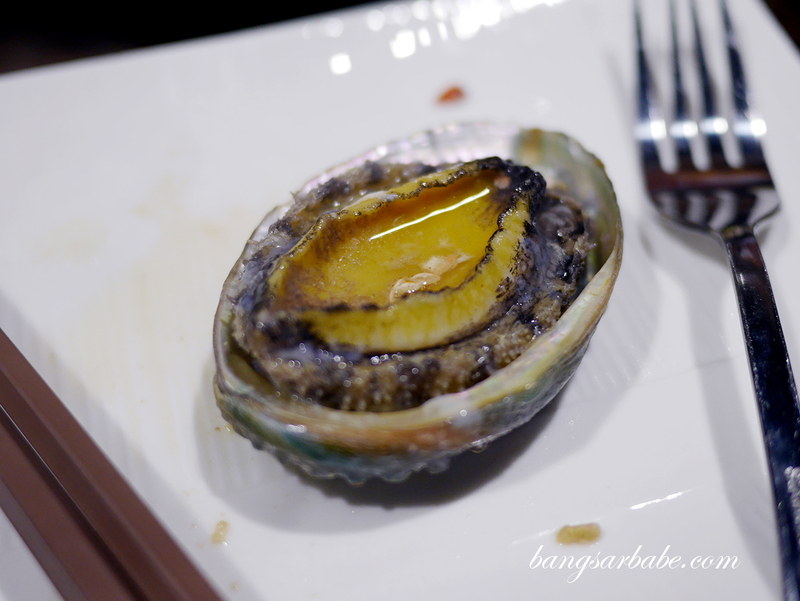 For seafood lovers, this will probably sound like a dream come true as the seafood is fresh. 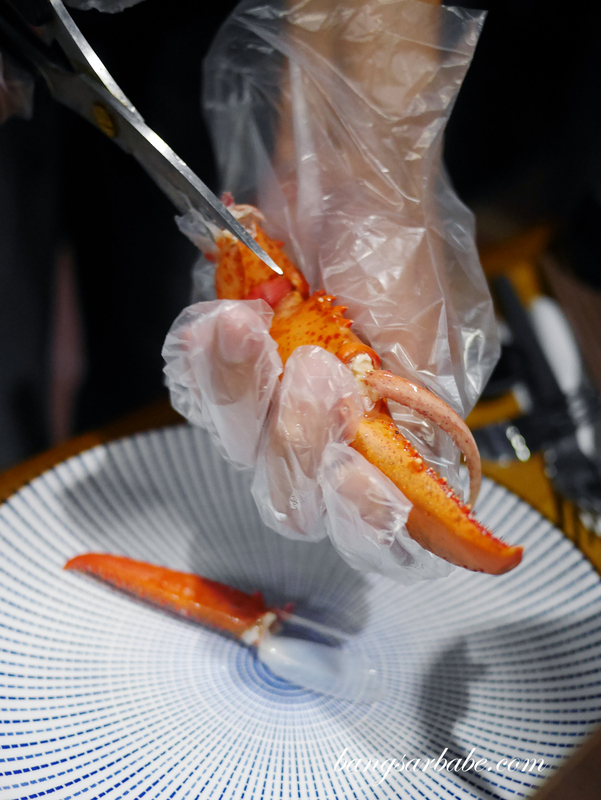 I mean, it can’t get any fresher when you can see the lobster moving despite the body sliced in half and the abalone wriggling when you tease it with your finger. 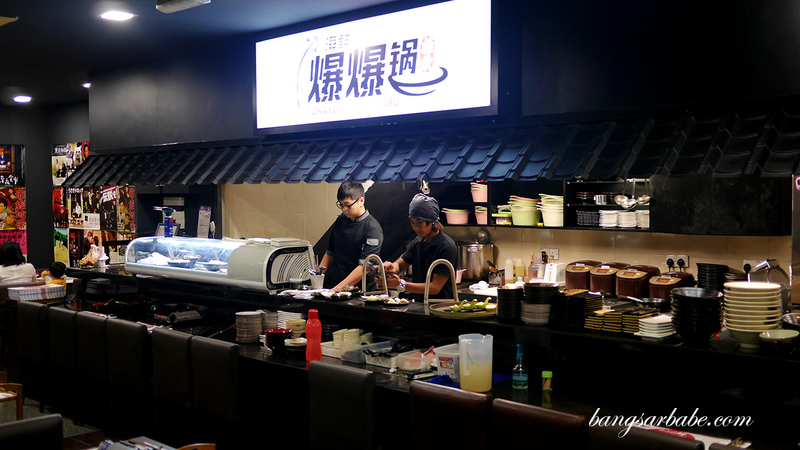 Some of the popular side orders include the handmade tuna fish ball (RM6.90 for three pieces), miso balls (RM6.90 for 3 pieces) and Kyushu fish tofu (RM6.90). I found the miso balls quite tasty but slightly on the salty side. 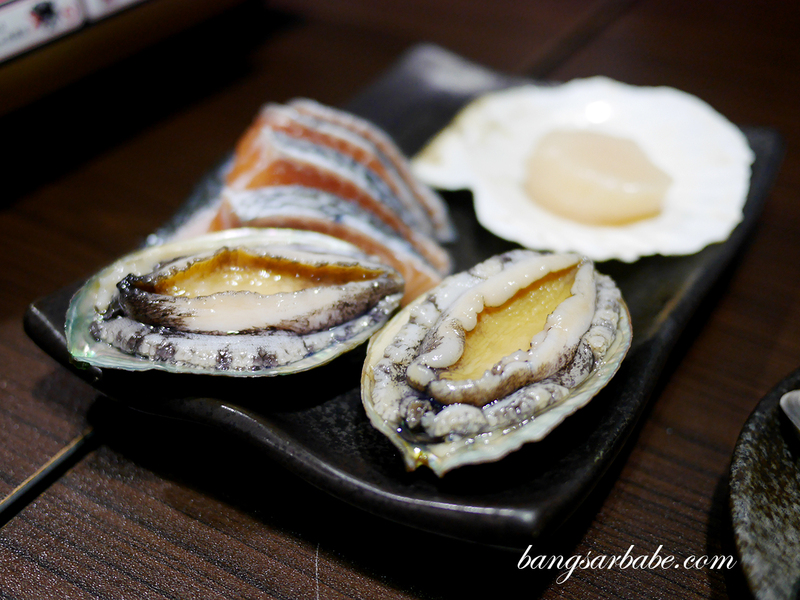 As for the tuna fish balls, Jien and our friends enjoyed it while I found this rather fishy. To each his own. 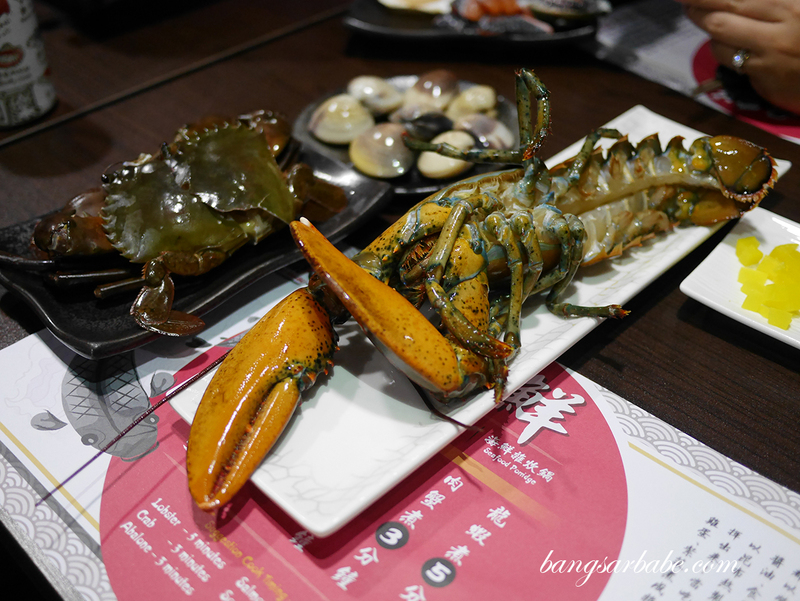 The seafood items were sweet and succulent, so we were told to eat them as it is. 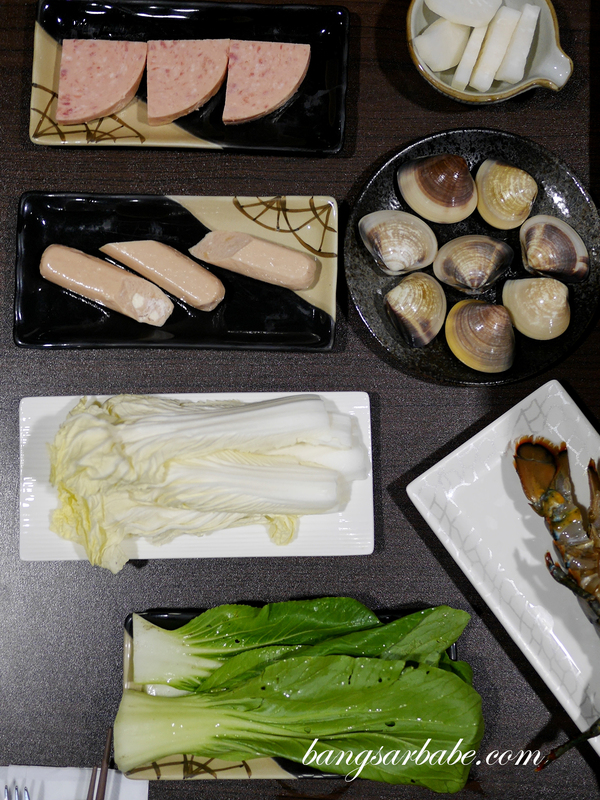 For added flavour, Okayu Shabu Shabu offers light vinegar on the side to balance the sweetness and richness of the seafood. 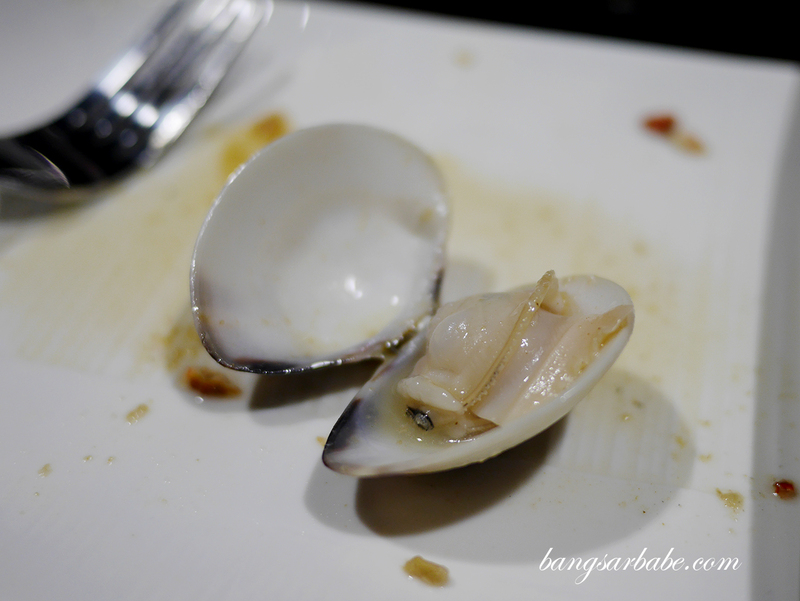 I liked them with a bit of vinegar as it gives the seafood an extra flavour note. 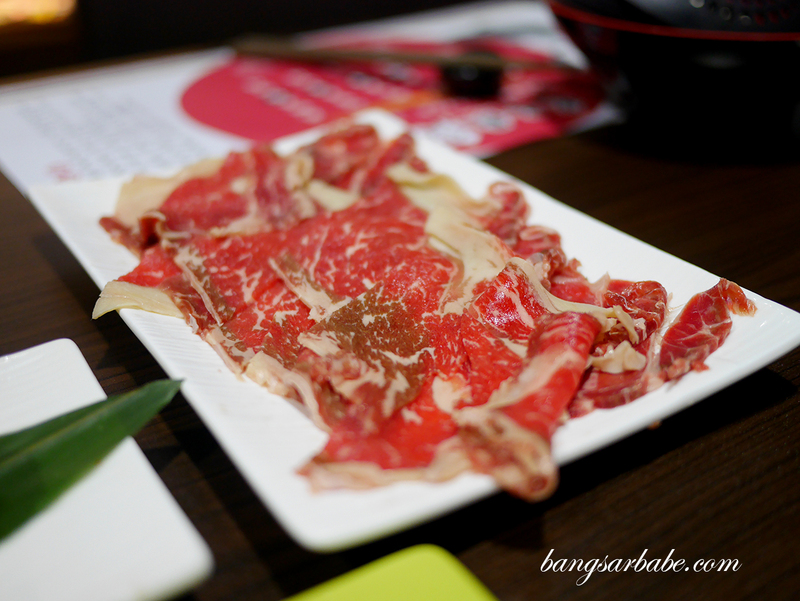 Meat slices include the Kurobuta pork (RM9.90 per 80gm) and A5 Japanese Wagyu Beef (RM20 per 100gm). 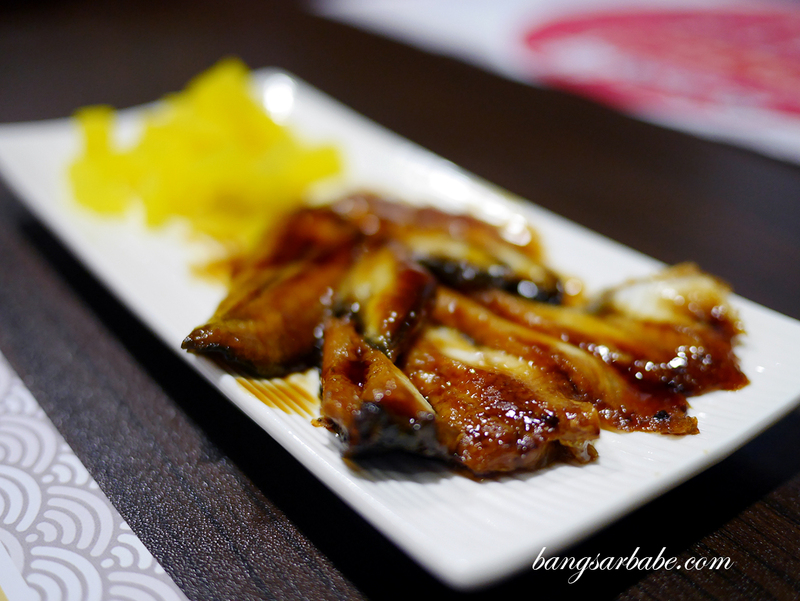 Both were nothing to shout about as the beef wasn’t as fresh as I’d like it to be, while the pork had a strong smell which required more vinegar to balance out. 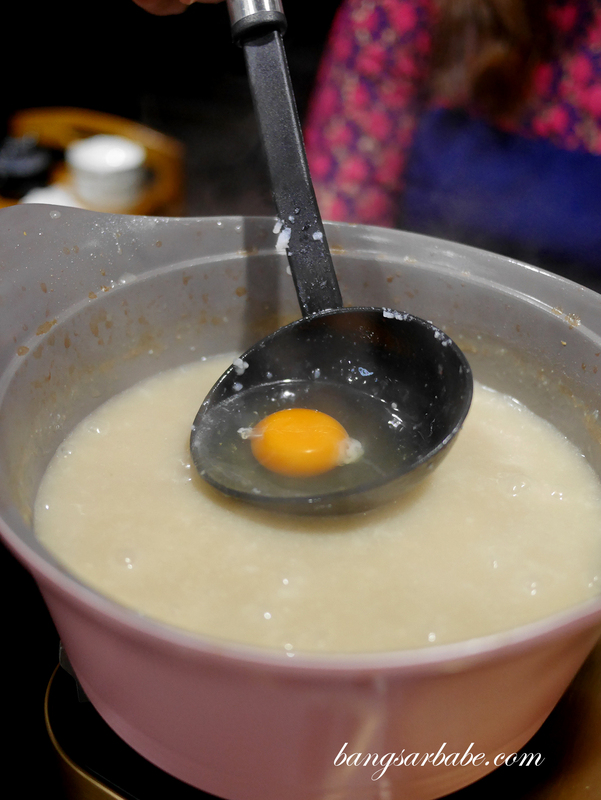 At the end of the meal, the staff will make porridge out of the remaining broth which would have been well-flavoured from the seafood. 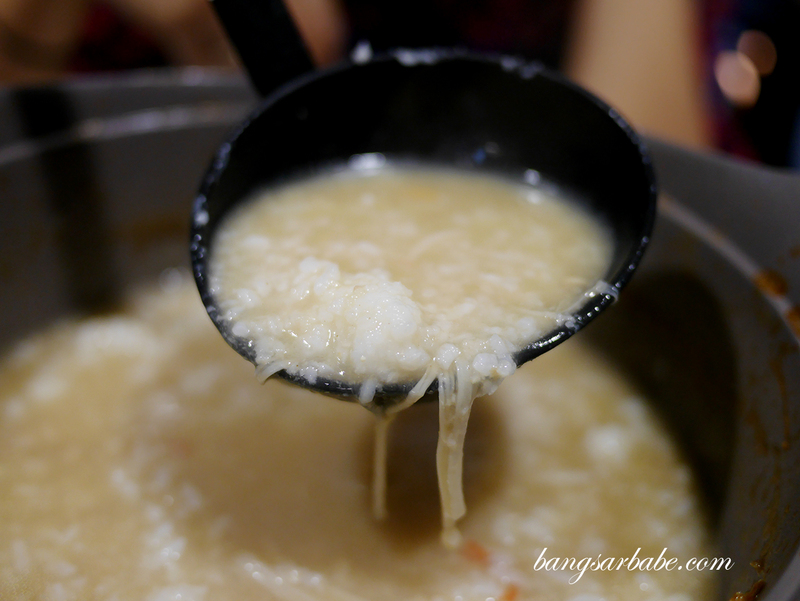 Rice is added into the broth and slow-cooked till the broth is absorbed into the grains, and egg is cracked in to thicken the consistency. 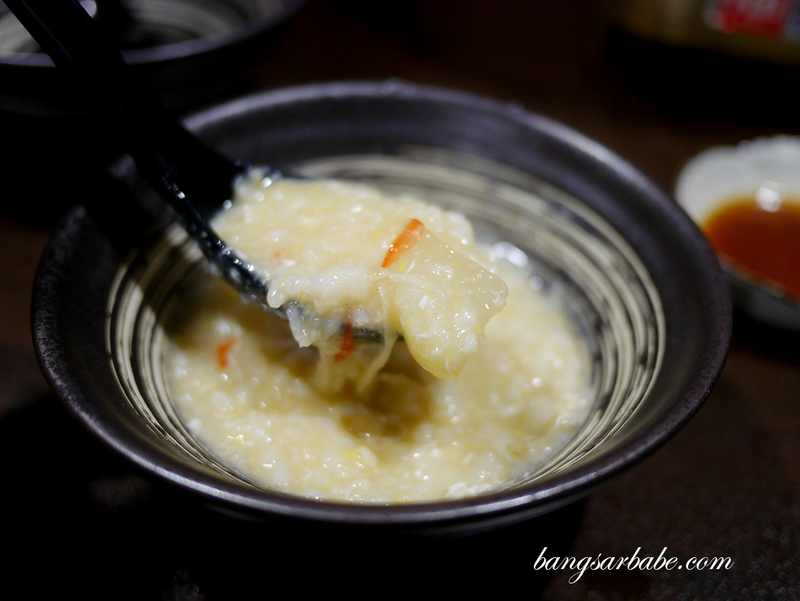 This is probably my favourite part of the meal as we weren’t suppose to drink the broth prior to the porridge stage. The idea of shabu shabu for me is to “swish swish” and drink the broth as I go along, not wait till the very end for porridge. 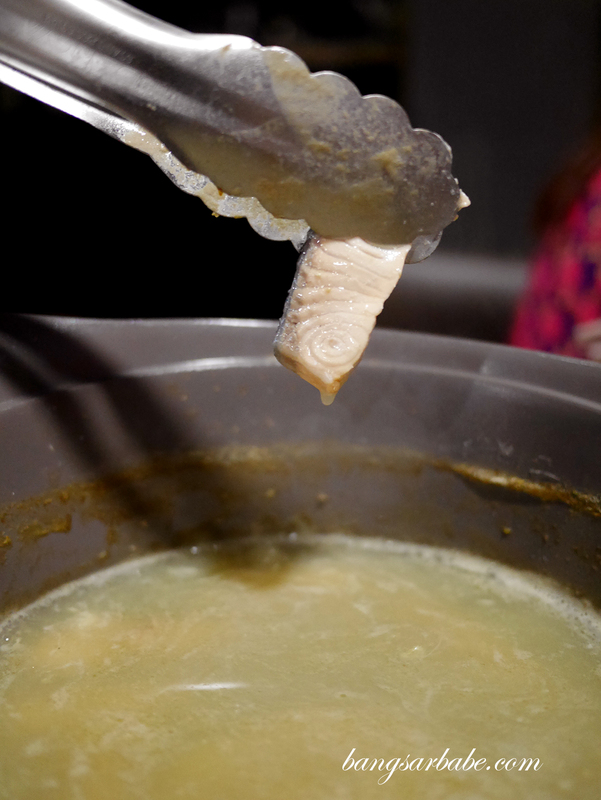 So if you’re a soup drinker like me, you probably wouldn’t enjoy this experience as much. 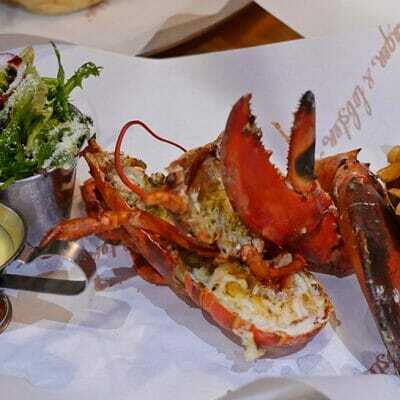 We did sneak a sip or two in between the seafood intervals but I thought the broth was nothing to shout about. 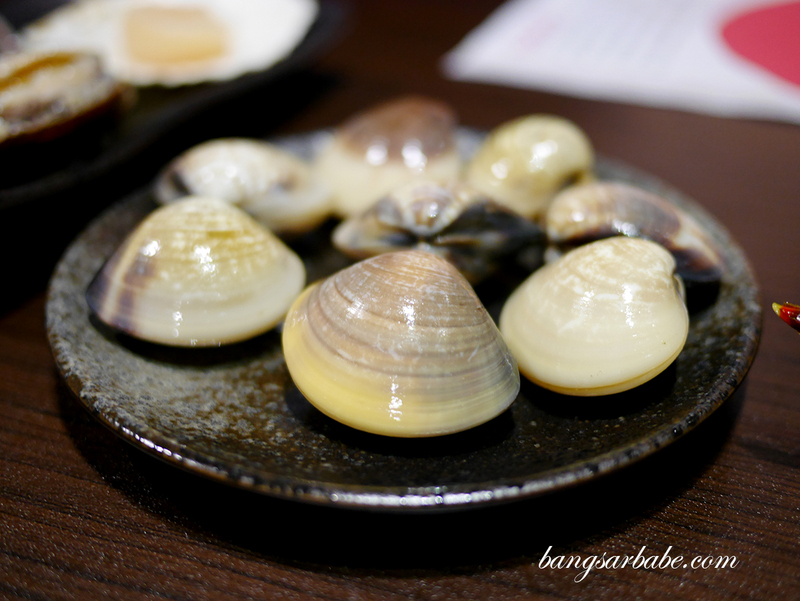 All in, our experience at Okayu Shabu Shabu was just average. 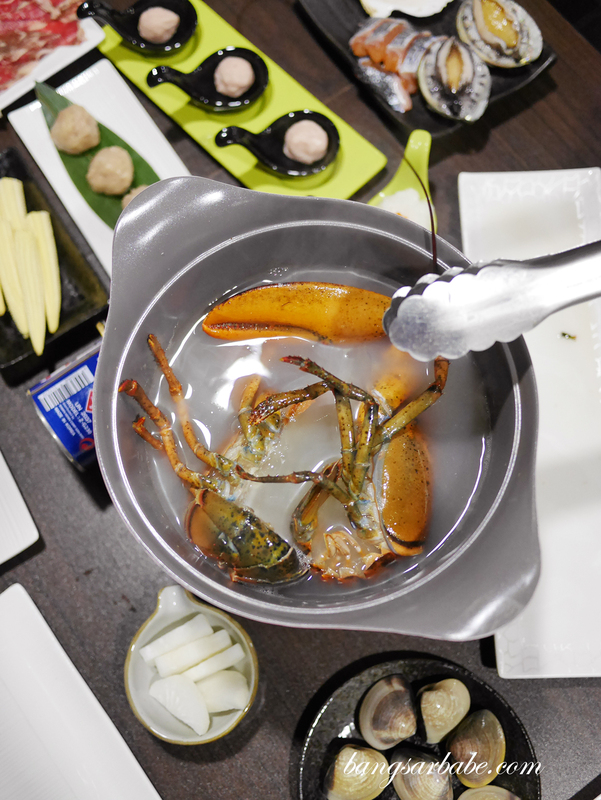 While the seafood is fresh and tasty in the hotpot, it wasn’t the kind of shabu shabu experience I was looking for. Prices are slightly on the high side (if you were to take the RM88 per pax or more set) so do take note if you plan to visit. 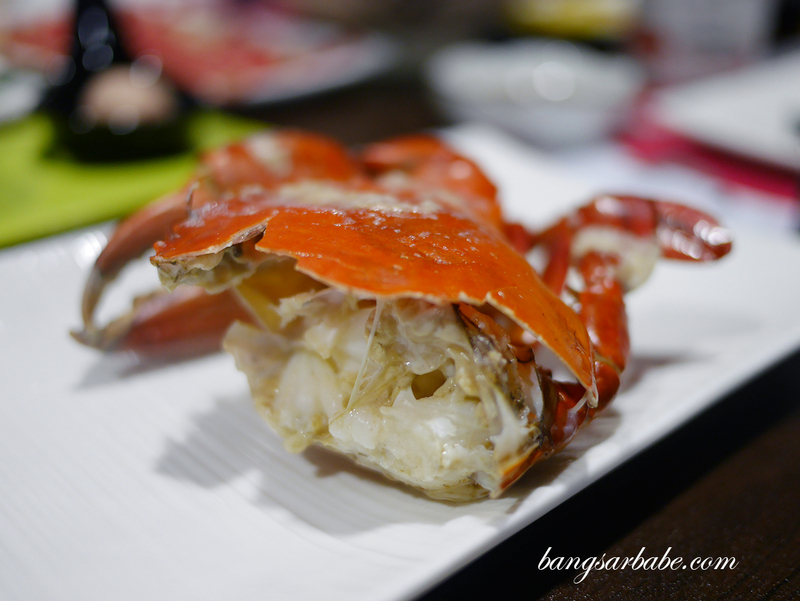 Verdict: I found the shabu shabu average though seafood was fresh.